The TW 190 TDHB packs quite a punch in chipping performance. Combining a 45hp Kubota turbo diesel engine with a heavy-weight chipping motor, large feed rollers and over-size feed funnel, its unbeatable performance is complemented by its compact design. 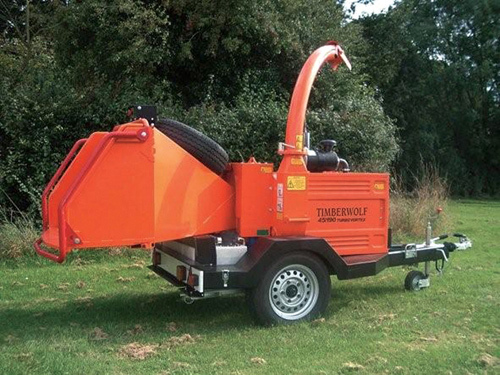 Satisfying the most demanding of professional users, this heavily engineered chipper is ideal for contractors and has been designed to work 24-7. Time is money and the TW 190TDHB wins hands down with its ability to keep a gang of workers busy and get the job done more quickly and easily. For servicing, the split rotor housing allows easy access to the double sided 5” blades. With its simple design and long life components, you can trust the TW 190TDHB to work reliably for longer, living up to the demands and expectations placed upon it.